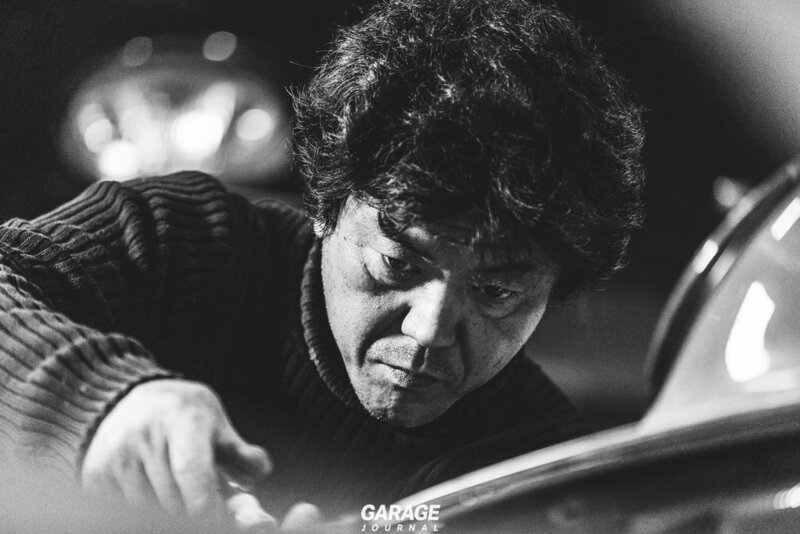 Rauh-Welt Begriff is a Japanese Porsche tuning company that needs little introduction. 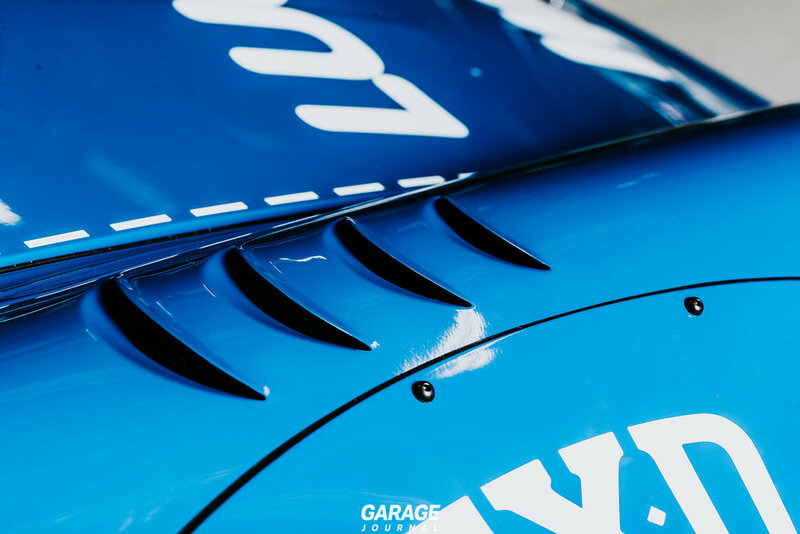 Over the years they have become an international icon for building the ultimate Le Mans-style widebody kits for aircooled street cars. 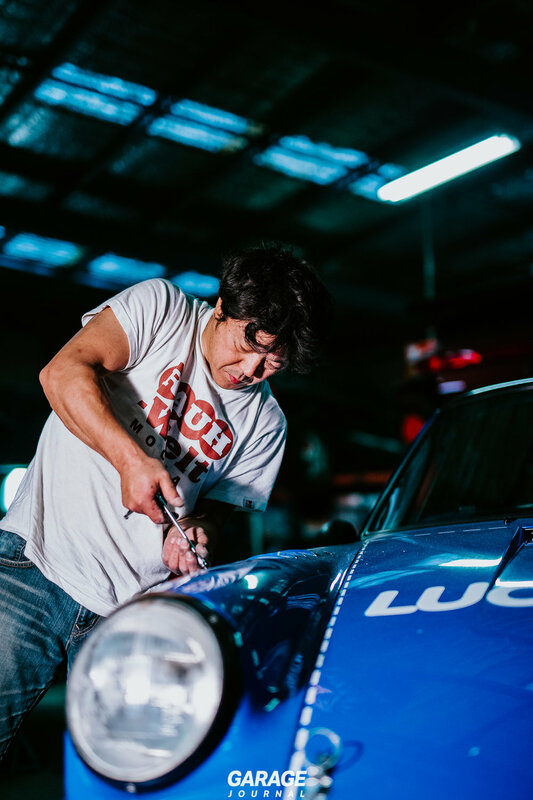 Driven by an ethos of craftsmanship, pedigree and family; each kit is engineered in Japan and hand assembled by RWB themselves onsite anywhere in the world. 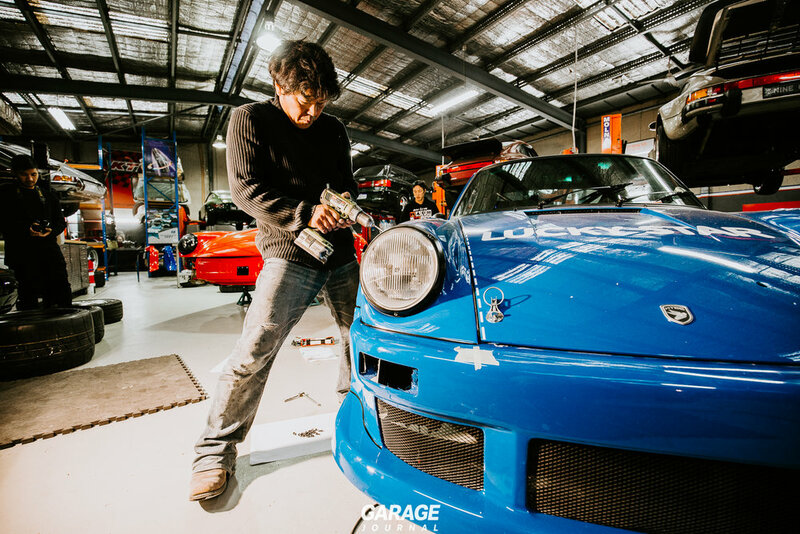 Last week, we had the lucky chance to witness an artist at work, and see two ex tarmac race-cars from KTEC Autohaus in Perth, W.A., receive the full RWB treatment from the founding figure of RWB Japan, Akira Nakai-San himself. So lets rewind the clock for you and answer the simplest of questions. Why has this legendary name popped by Perth for a week? In a nutshell it's because KTEC Autohaus are yet again flexing their Porsche prowess with playing host to not one, but two RWB builds, set to be built in the same timeframe RWB would normally spend finishing one single car. 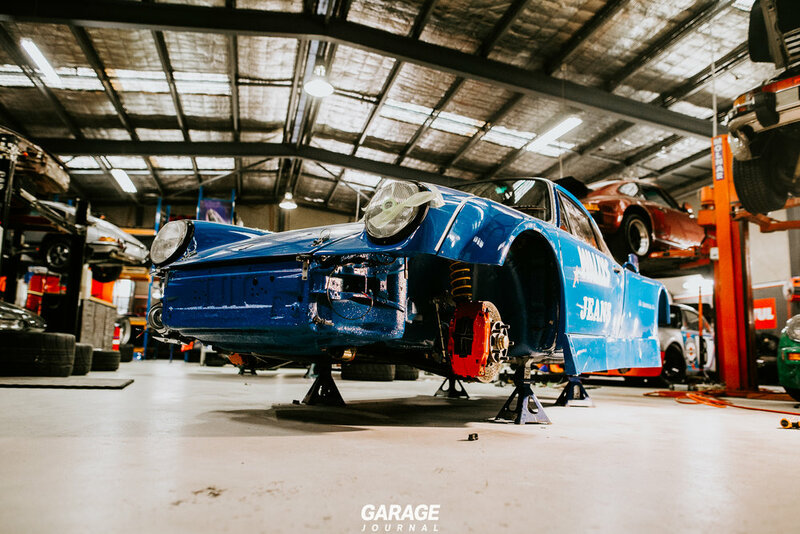 For the uninitiated, KTEC Autohaus originally started out as a small German vehicle service centre specialising in maintaining Perth’s Porsches. After being bought out by current owner Brendan Anesbury, the name KTEC today is synonymous with classic aircooled 911 restoration & racing. 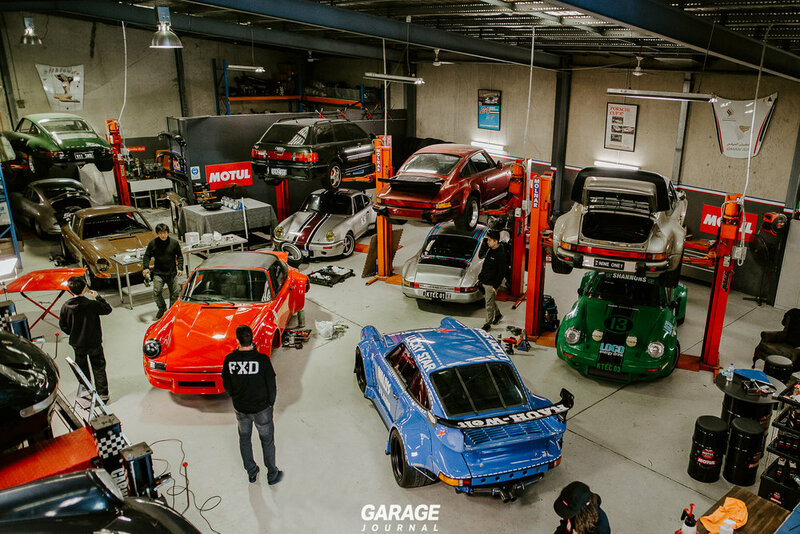 Already sporting a garage full of period correct, backdates & RSR builds, the guys at KTEC felt it was time for something completely different to add to their impressive lineup and demonstrate exactly what can be done if you apply a ‘sky’s-the-limit’ attitude to modifying and tuning your aircooled Porker. 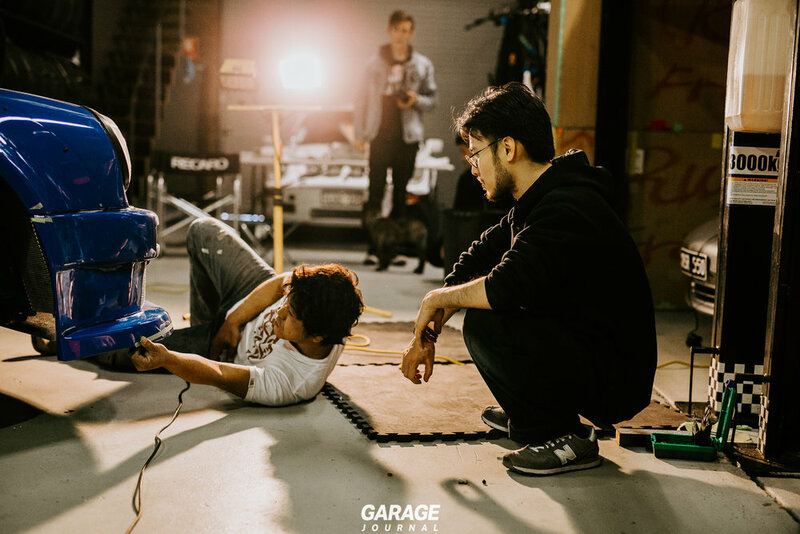 Stepping into their workshop is like walking into your highschool 10-year reunion. There is an instant presence of mateship, family and passion. 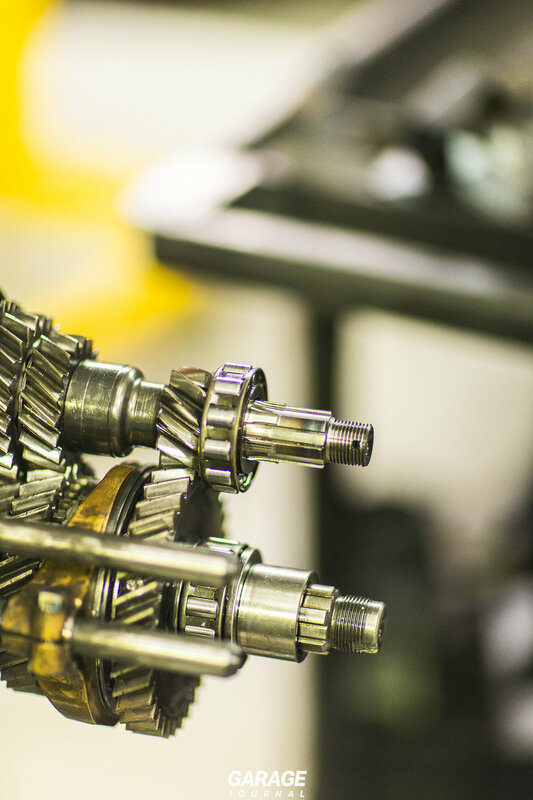 The floor can be covered in tools, and the hydraulic lifts choccas with some rare German metal, but what stands out the most is the KTEC team. A small family of five mates that only ever seem to stop wrenching on cars to go thrash them at the next rally or Targa event. 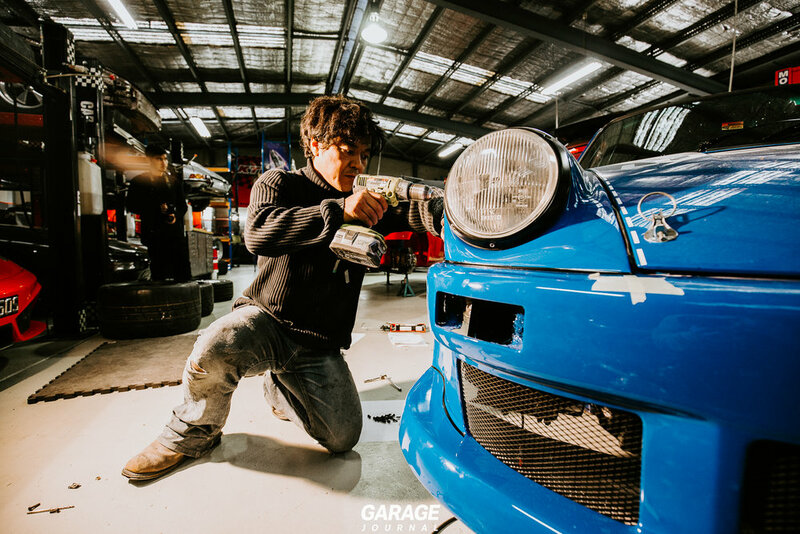 The workshop, tucked away off the main industrial strip serves as the perfect base to build a couple of RWBs. The fridges stocked full of beer, the counter tops strewn with an endless supply of Jack Daniels (and potent Loco energy drink), and the floor cleared for Nakai-San’s arrival, we knew that this would be a special week. The cars you see here getting chopped into by the enigmatic Japanese artist are the stars of the show. They aren't some spare chassis’ that were lying around or customer cars. 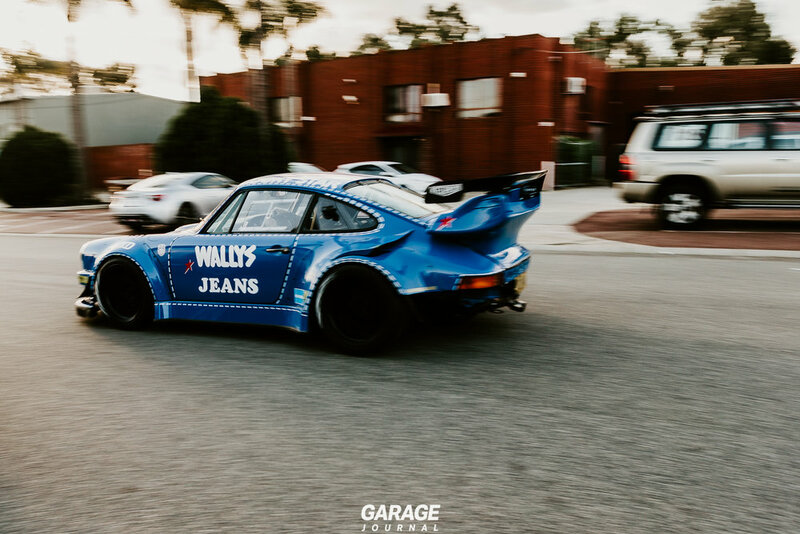 The blue ‘Wally Jeans’ Liveried 911 is actually Brendan’s personal rally car. 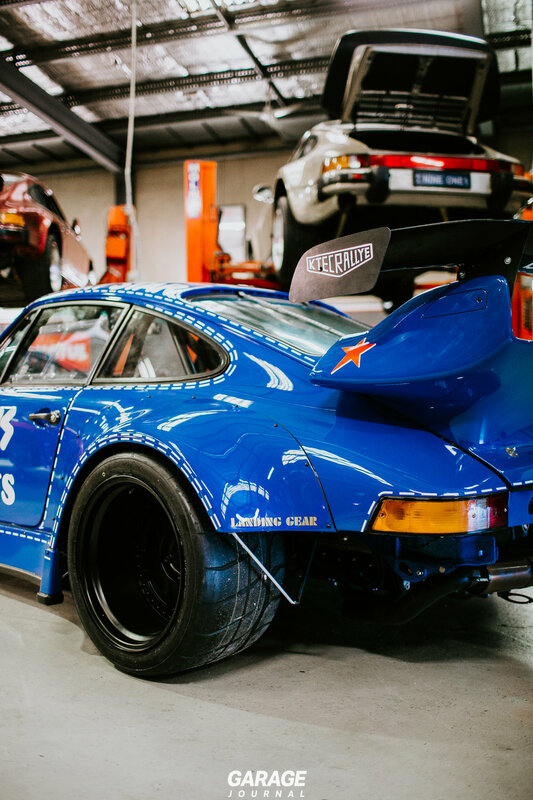 What started out in life as a 1976 Porsche 911 3.0L in Arrow Blue, was transformed into a ‘open-class’ rally car, and under the rear decklid, given a Motec ITB system to feed a sleeved 3.9L big block and a lick of the iconic Rothmans style livery covering the exterior. 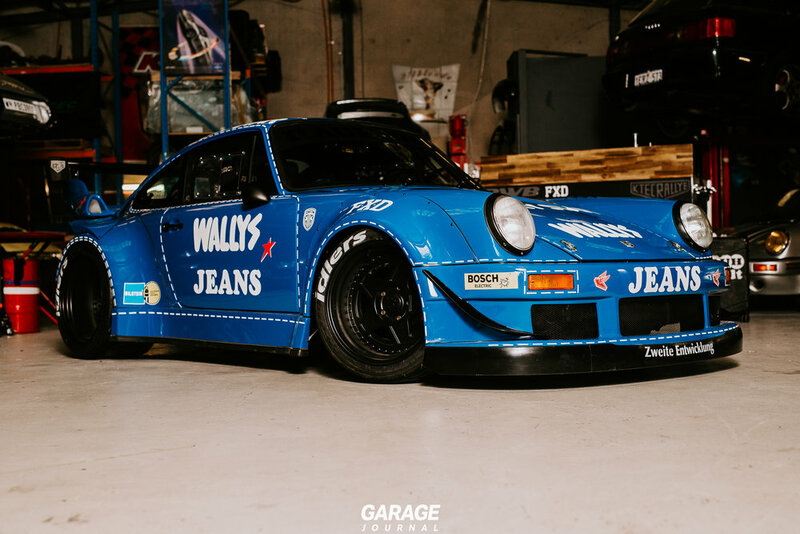 Today, it is undergoing yet another transformation with the aggressive RWB bodykit harking back to the classic Porsche Le Mans racers, covered in another classic livery inspired by the iconic Wally Jeans RSR of the 70s. 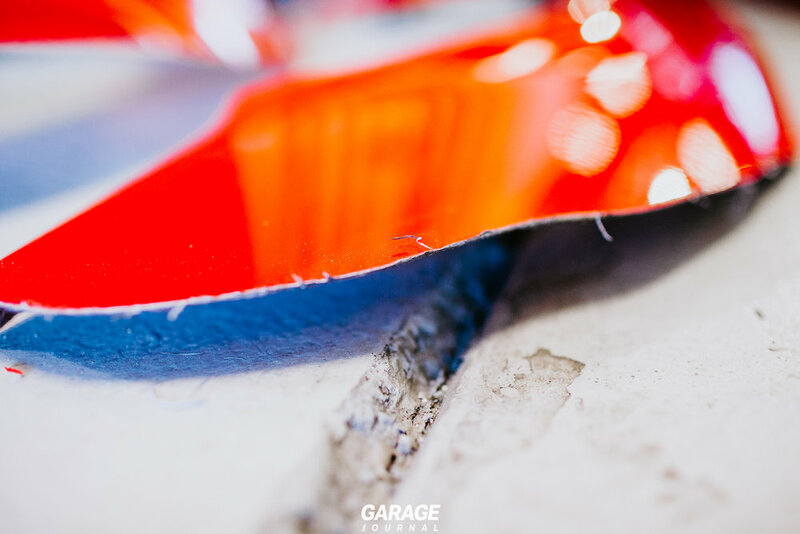 The red Targa is another KTEC owned car, part owned by workshop co-owner Brad Kidd, and is the first ever backdated Targa to received the RWB treatment. 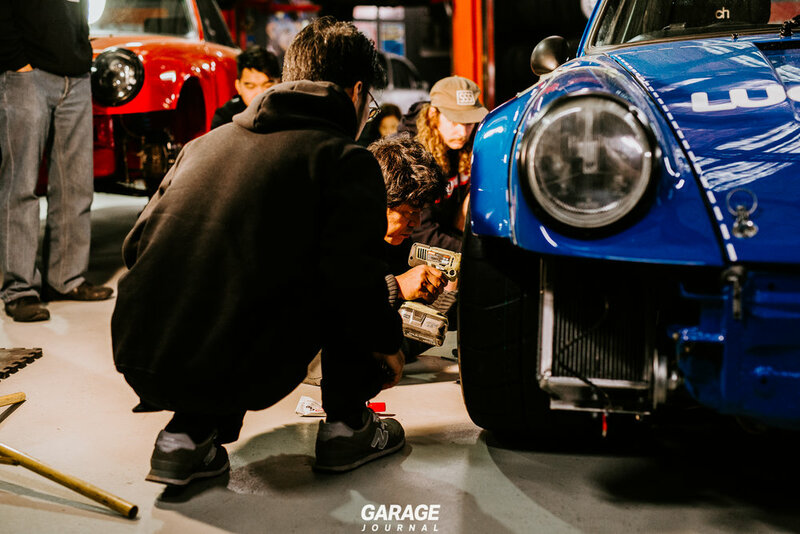 Sporting an enlarged 3.5L flat six fed by PMO carburettors, the red targa brings a bit of California style blended with the performance bite from KTEC and the RWB family. The build process of these cars has been a chaotic rush against the clock. 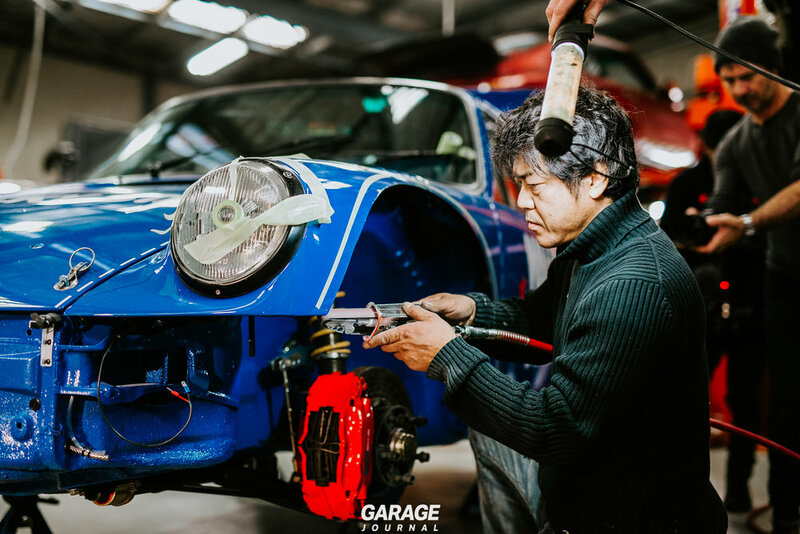 KTEC only had a couple of months to completely strip, paint, rebuild and reassemble both 911s in time for Nakai-sans arrival. 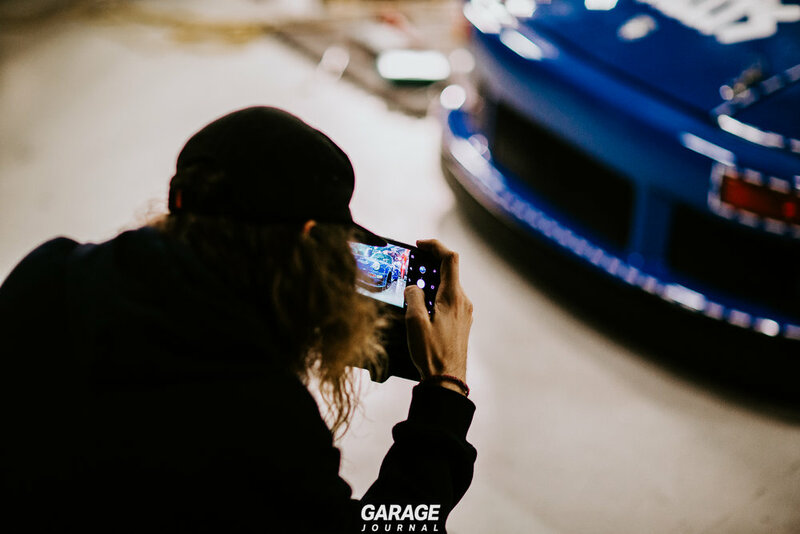 With their racing background, KTEC are no strangers to working under pressure, and like clockwork, both cars were prepped and ready for the RWB entourage to arrive. With the kit shipped over and painted, the cars laid out ready to go, the fun really starts. Nakai-san is the soul builder with the helpful hands of RWB Australia’s Chern Wong and some of the beards from KTEC. Straight off the plane, Nakai-san beelined to the KTEC workshop (after a few durries), eager to set to work. Two cars in three days; a feat that to the normal worker seems almost impossible, but for the RWB team - this turns out to be a walk in the park. 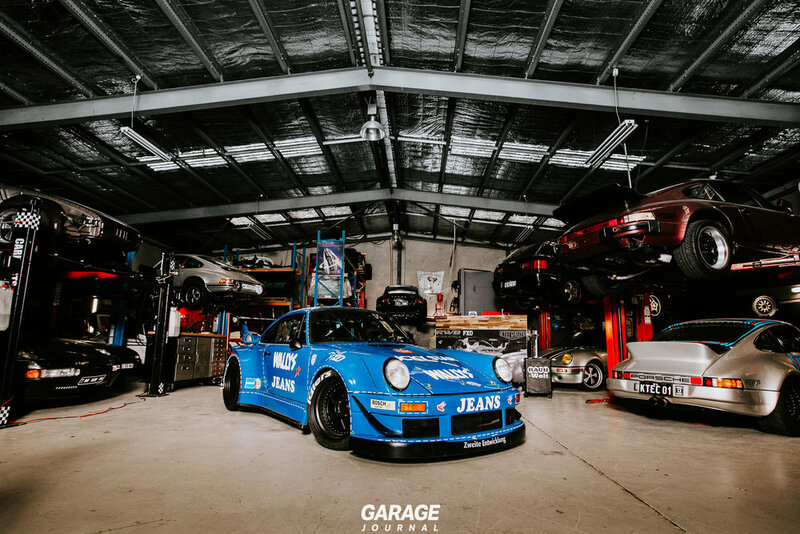 To the regular eye you wouldn’t be wrong in thinking that these cars are just a Porsche with a wide body kit, but what sets Nakai-san and his builds apart is his pure craftsmanship. 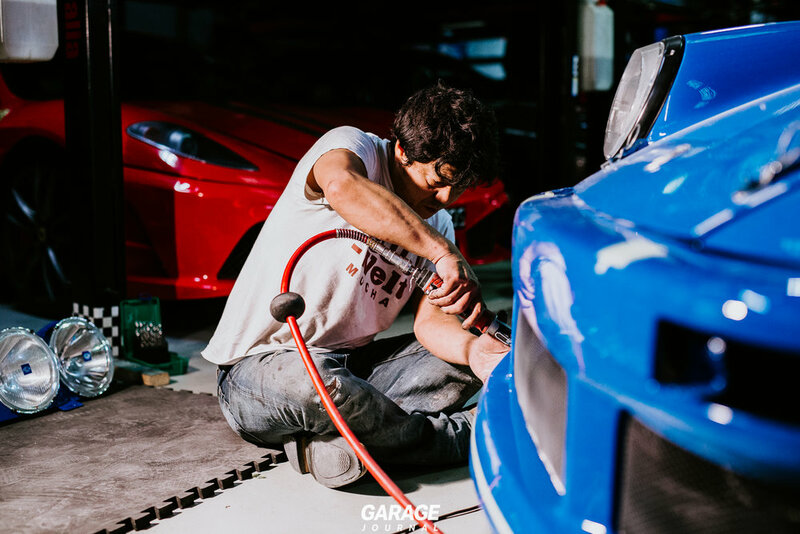 His skills and knowledge on marrying the kit to the car have been developed over years of coachwork and racing. 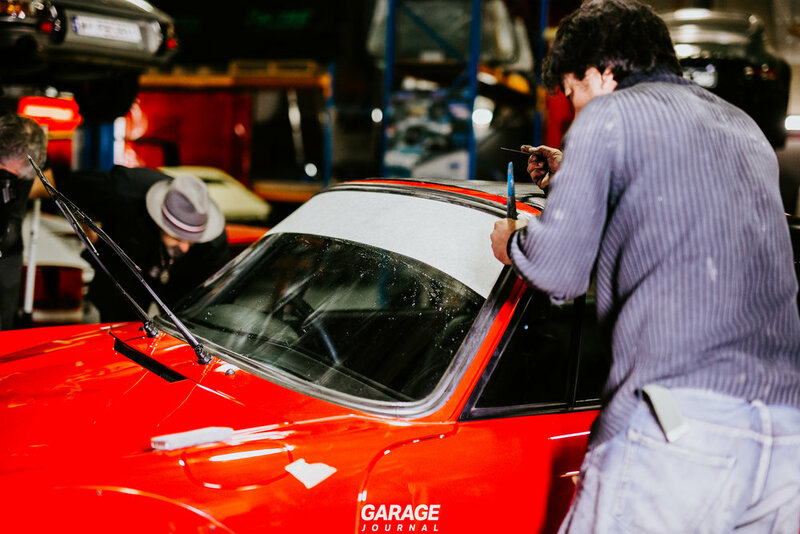 There are no moulds, drawings or templates to guide the RWB builder to perfectly fit the panel, it is all measured by eye and adopted by hand. 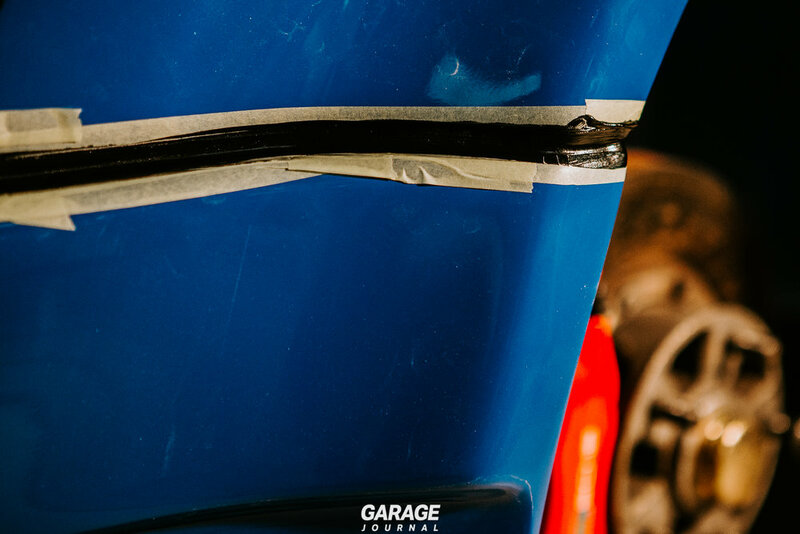 The build starts with the fitting of the fenders followed by the bumpers, skirts, spoilers and then the finer details or decals and support braces. 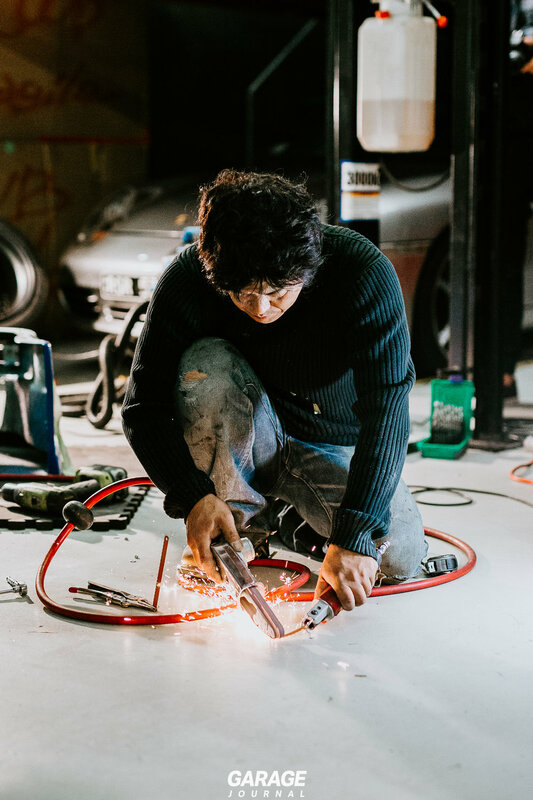 The old saying of ‘Measure twice, cut once’ must not have translated into Japanese very well, because after taking a few steps back from the car and eyeballing where the fenders will sit on the wheel arches, Nakai-san fires up the pneumatic saw and begins cutting away at KTECs freshly resprayed vehicles. 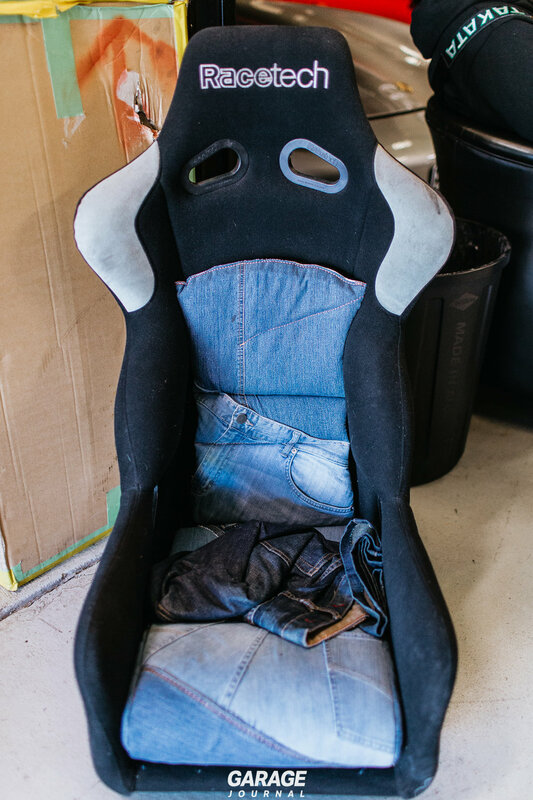 The initial exercise of watching the old craftsman hack away into the body of the Wally Jeans Porsche would have sent Worksafe into a coma, no facial protection or safety equipment, just 110% commitment to getting the best line in a single stroke. No measurement. No faff. Just complete confidence and drive to make the cut perfect. 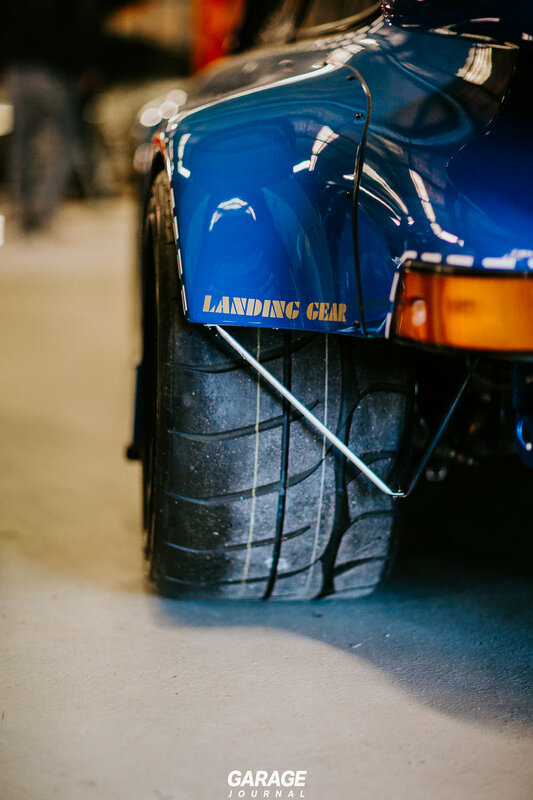 The fitment of the fenders sets the placement of the skirts and the bumpers, whilst also giving all spectators a taste of the wider body. Without the deep dish set of wheels fitted, the fenders really to stick out and show the potential to come for the Porsche’s wider track. 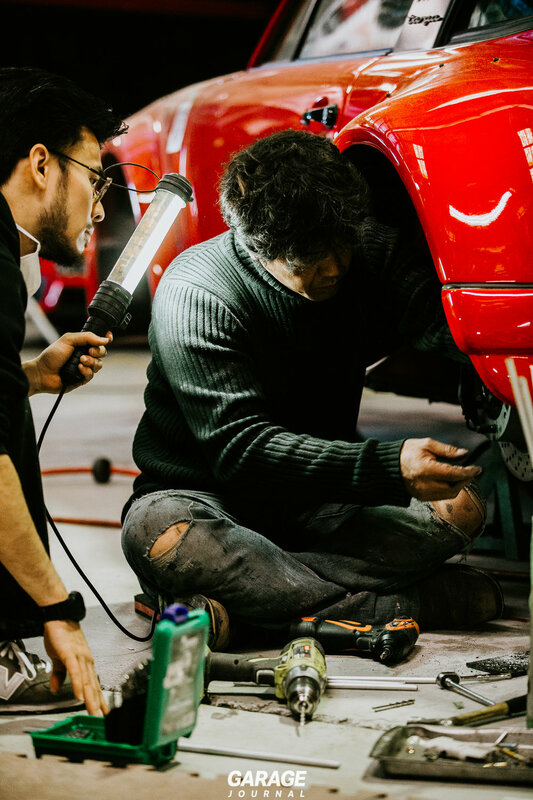 Don't be fooled by thinking this is just someone cutting and fitting wheel arch flares, there is so much more detail that goes into each piece of the kit. 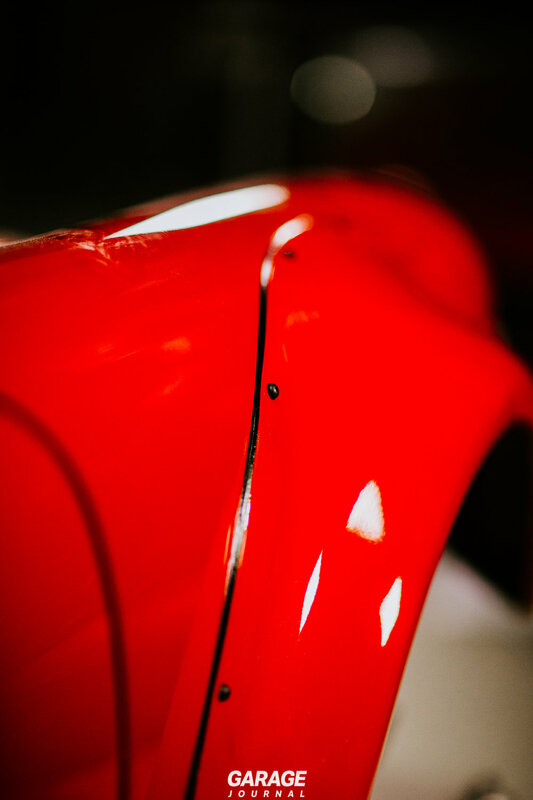 Something as simple as running a bead of silicone over the minute gaps in between the freshly mated body panels with one swift velvet action makes the task look as though he is performing automotive calligraphy. Doing all this in an extremely timely manner, with a few smoko breaks in between fitting panels. 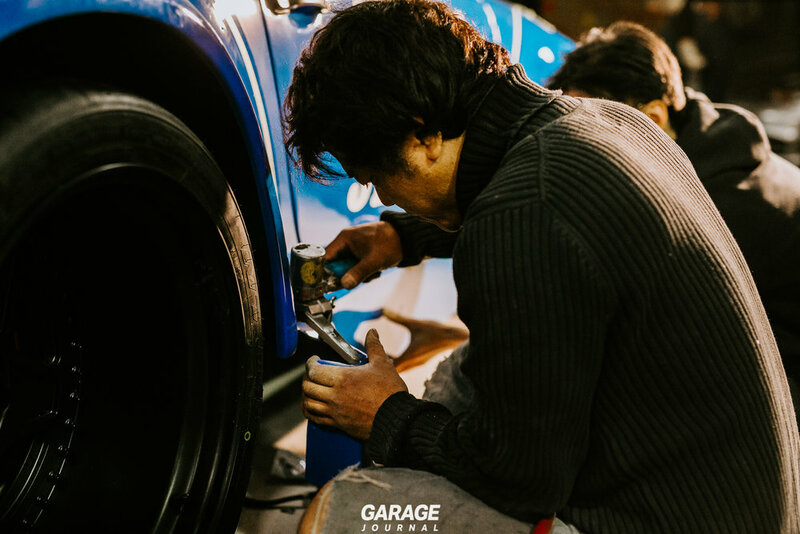 Nakai-san is extremely systematic in the way he works, he knows exactly each step to take at any moment of the build, despite the chaos of tools, clips and fasteners splayed in a ring around the two cars. If he can't find what he is after, a simple glance at Chern or the KTEC beards has them grabbing the part, tool or next pack of durries in an instant. One of the most impressive stages to witness was Nakai-San mounting the upper rear wing to the Wally Jeans car. It was as simple as offering up the part and adding a quick couple of drill holes for fitment. Nakai-San then hurried round to the front, standing square to the nose as he squatted down to roof height with one eye closed to measure the adjustment. For the record, it didn’t need any, the placement was perfect first time. Before you realise it, the builds are complete. For KTEC, this was 24 hours ahead of schedule. 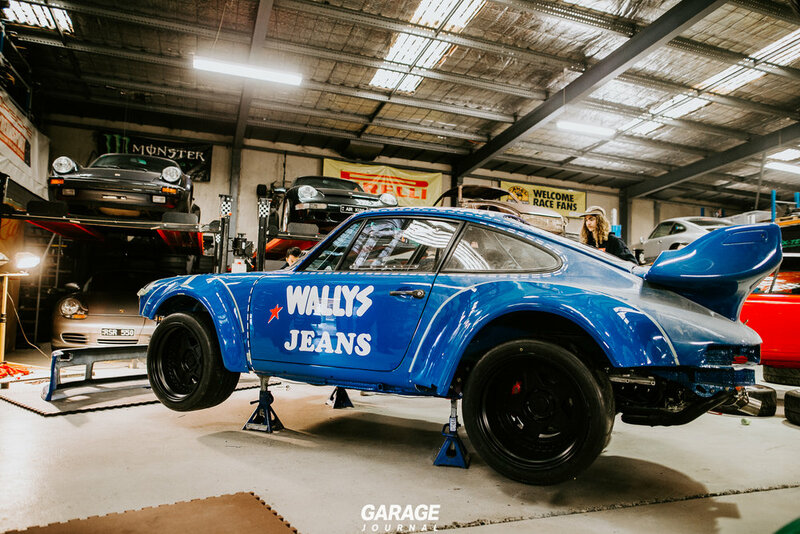 With the Wally Jeans Widebody completed shortly before the Backdated Targa hit the floor for the last time. 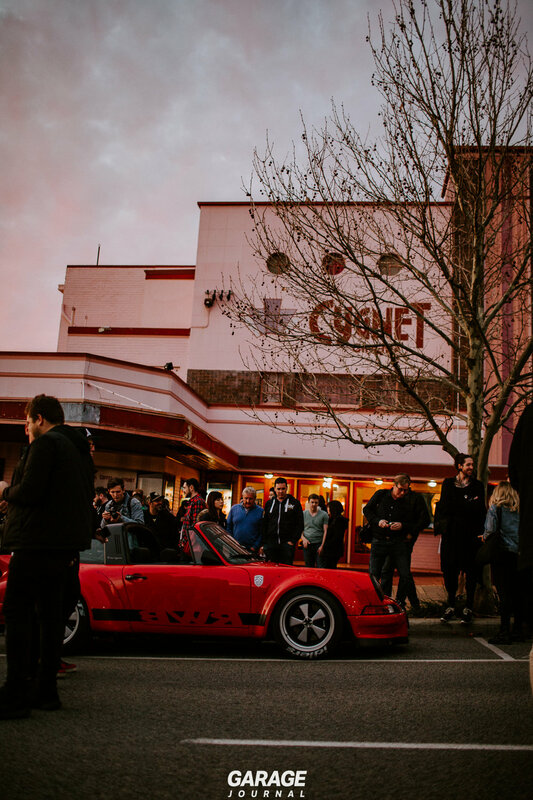 To complete the build, the ceremonial application of the Rauh-Welt Begriff window banner marks the finishing stages as the cars are cleaned and prepped for their unveiling at the Cygnet Theatre alongside the premiere of RWB Australia’s film, RWB - Life after Birth. Attending the build is unlike any other event we have ever witnessed. 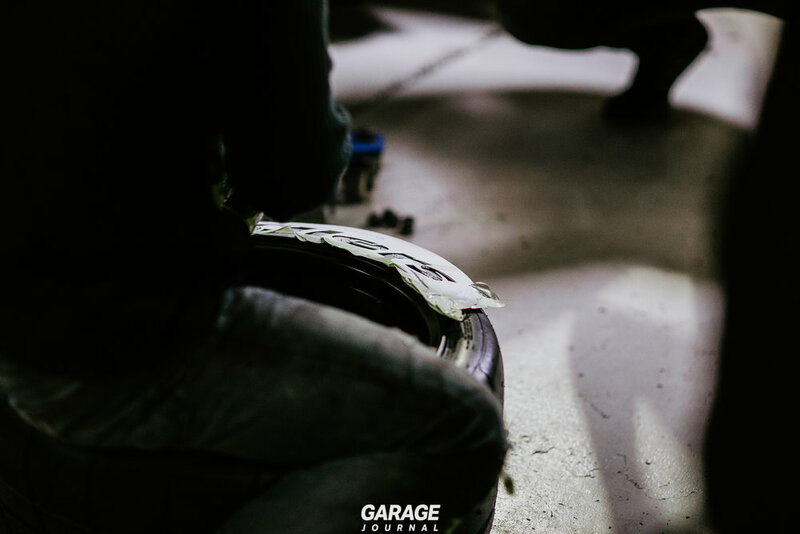 From the smell of fibreglass dust filling our lungs to the deafening sound of alarms set off as the cars took their new body for the first drive down the street. The 72 hours of building felt like it was over in an instant, and that was without a doubt down to all of the people involved. Crowded into a tiny workshop with photographers, RWB Australia, the KTEC crew & our new favorite Californian tattoo artist, the atmosphere is electric. 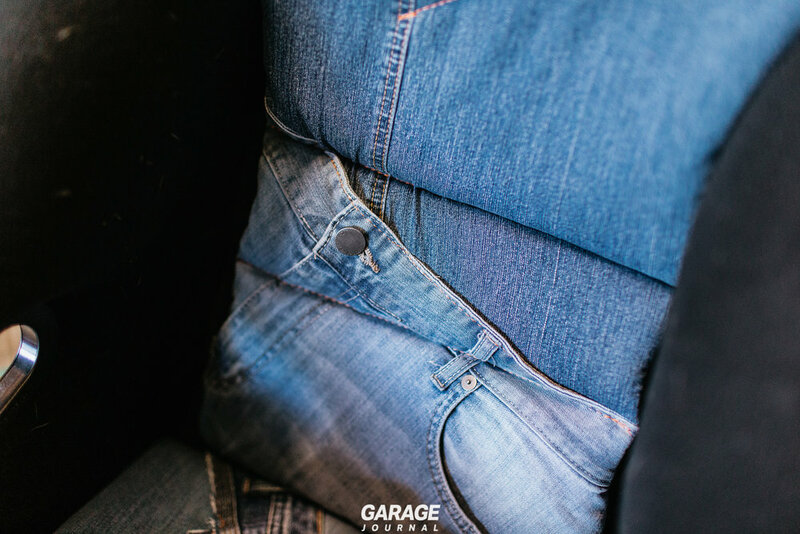 After spending five solid days all collectively marvelling at the transformation of two cars, sharing drinks and stories, the build evolved from a simple photo assignment into a small family. 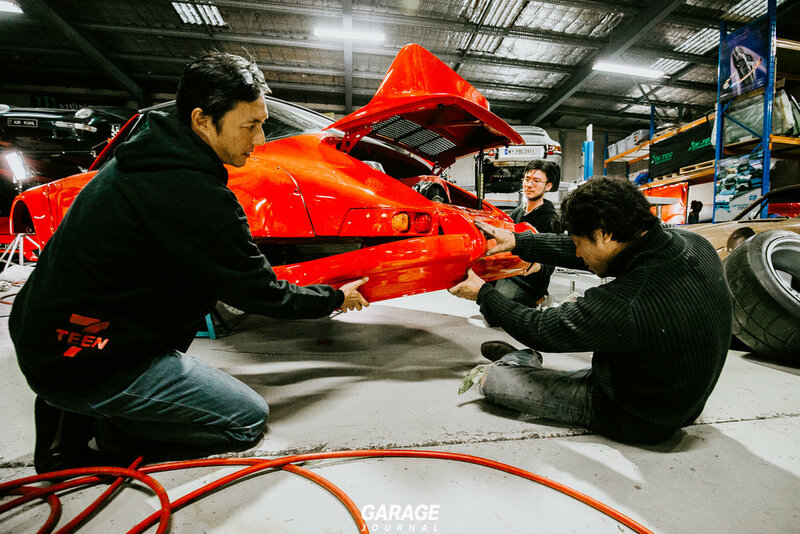 It was no longer about watching Nakai-san put together two cars, everyone feels a part of the car and a part of the process. 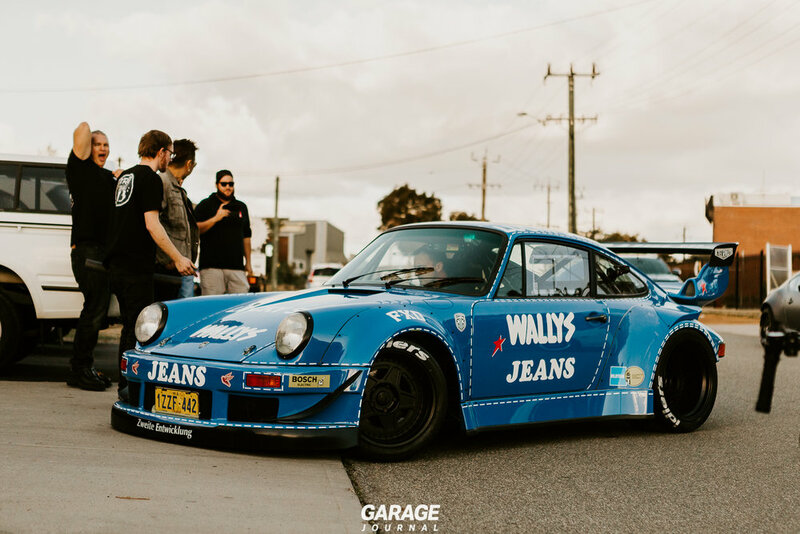 Talking with the happy owners of both the Wally Jeans and the Targa, neither of the cars will become garage queens or pieces of static artwork. KTEC build Porsche’s to race. And we will save for later. Watch this space.